First of all, we can all agree that about 90% of the time, the written word is better than its movie adaptation. I mean, why would the movies even be made if the books weren’t popular? Usually, popular books are well-written and insightful, and whenever movie producers see the amount of people who enjoy these books rising, they hop on the bandwagon too and make a film based off the book. It seems a lot easier to make a movie based off a book than to create one from scratch and one inherits all the fans from the books who will most certainly want to see the movie. Unfortunately, if the original fans find multiple problems with the movie (I’m looking at you, Percy Jackson movie franchise) then the movies don’t do as well as they would if they didn’t have that inherited fan base. But that’s a different issue altogether. But why are books so much better than the movies? Maybe it’s due to the limited time frame in a movie. Books carry a lot more detail compared to movies which, when adapted onto the big screen, is not shown. Movie producers can cut anything from a crucial event in the plot, to a minor detail no one will know is missing. This can really make or break the movie, and Hollywood adaptations of books sometimes tend to over-generalize. But can they help it? Not really. For books that tend to be on the larger side (500+ pages), movie producers can’t possibly include every little detail, let alone some major events in the novel. The reason might be also that humans are naturally competitive. Some of us might want to seem smarter than others, so we appear more intellectual by stating that the book was far better than the movie (even if we didn’t read the book). Or it could be the actors that were hired to play the characters. Although this somewhat corresponds to the first paragraph, if the actors that were hired don’t look/act like the book characters, the already-established fan base will not like them. If the actors hired were just generally bad, not too many people will like the movie. And if the actors in the movie are both bad and not acting like the book characters, then there will most certainly be a major problem with the film. In conclusion, there are many reasons why books may be better than their movie adaptations. Some reasons can be general, and others can be specific to each movie. 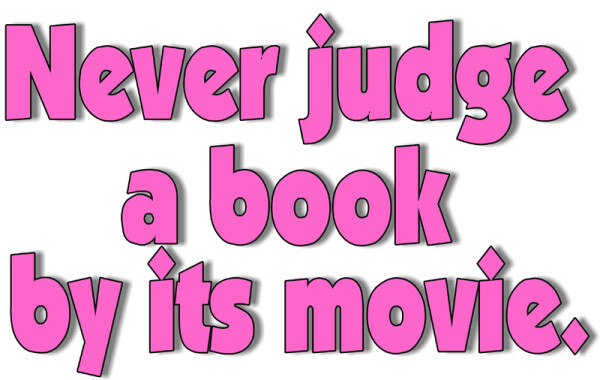 But it all boils down to the common fact that usually books are better than movies. Of course this isn’t the case all the time, but for the most part, a good novel fares better with the general population than a film based off that novel does. So keep reading and keep learning and may the next movie that’s made come very close to being as good as the books were for you. Maddy Conroy is a junior at Clayton A. Bouton High School.